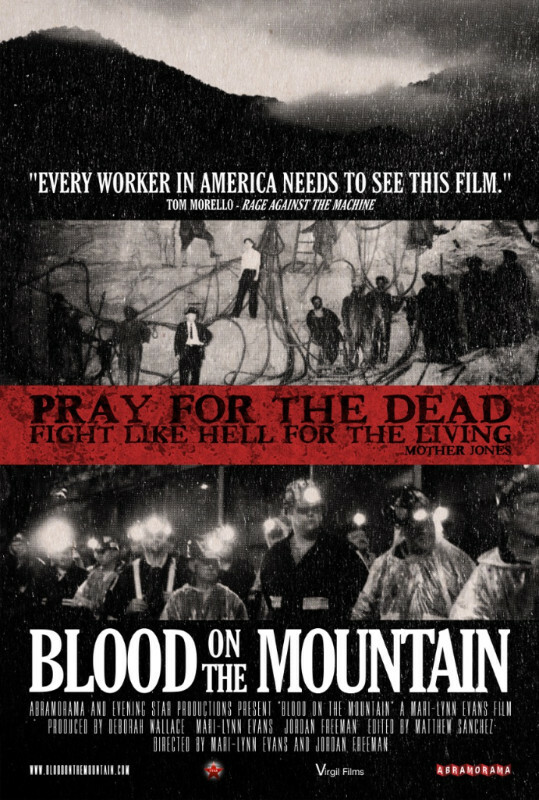 Blood on the Mountain is a newly released award-winning documentary. It is a fearless look at the 150 year history of the US coal industry. It has been endorsed by both the United Mine Workers of America and Sierra Club. This is a story of human struggles endured at the mercy of unregulated industries and corrupt politicians. May Day Special at the Mother Jones Museum at Mount Olive, Illinois on 29th April. We are delighted to announce that we will also be showing the film for the first time in Ireland at the 2017 Spirit of Mother Jones in Cork which runs from 1st to 5th August in the Shandon area of the city – further information coming soon when the 2017 Festival Programme is available. I got to see the beginning of the film at the birthday party for Mother Jones in Mt. Olive Illinois on the 29th of April. It has a gritty beginning and I look forward to getting my own copy to watch over and over.